When visiting Madrid, many travelers also want to experience San Sebastian in Spain's Basque region. 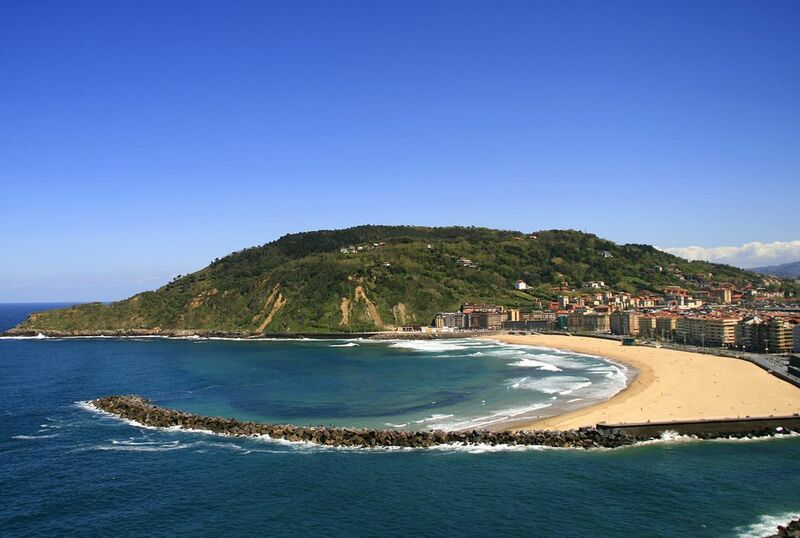 San Sebastian is located on the north coast of Spain, close to the French border, 464 kilometers from Madrid. Travelers like to go there primarily for its fantastic cuisine, particularly the pintxos (the Basque word for tapas). In addition, the San Sebastian area has many Michelin star restaurants for foodies to try. In San Sebastian, there are beautiful beaches such as the Playa de la Concha and Playa de Ondarreta with a bayfront promenade. When strolling along the quaint cobblestone streets of the old town, you'll not only enjoy the quaint, historic architecture, but you'll also find many tapas and pintxo bars. You can get to San Sebastian by car, bus, train, and air and there are pros and cons to each mode of transport. The train is only a little quicker than the bus, so if you are on a budget the cheaper option would be to take the bus. You can also break up the journey with a stop or two along the way. Though most people who are going to San Sebastian are going for the tapas, there is a city en route that is worth a stop for their cuisine, too. Logroño, capital of the Rioja wine region, is one of the best cities for tapas in Spain and makes a great long lunch stop on the way to San Sebastian. It’s also a stop on the pilgrimage route to Santiago de Compostela and has a lovely cathedral. For the ultimate culinary experience, stop in Aranda de Duero to lunch on the regional favorite, roast lamb. Then stay the night in Logroño and go to San Sebastian in the morning. The train from San Sebastian to Madrid takes about 5 hours and 20 minutes and costs under 60 euros. Trains from Madrid to San Sebastian depart from Chamartin train station. There are regular buses throughout the day between Madrid and San Sebastian. The journey takes six hours and the fares start at 15.75 euros. Buses from Madrid to San Sebastian depart from either the Avenida de América transport hub, the Estación Sur bus station, or the Madrid Barajas Airport - Terminal 4. There are a few flights from Madrid to San Sebastian (with Iberia) but it is much cheaper to fly to nearby Bilbao instead and then take a one-hour bus ride to San Sebastian.